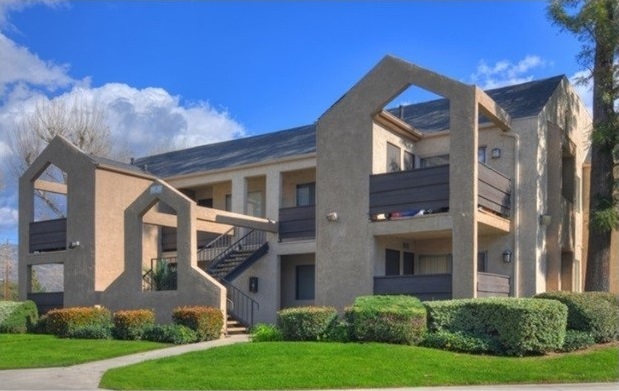 Walker & Dunlop, Inc. (NYSE: WD) (the “Company”) announced today that it arranged a $26 million combination of bridge loan and joint venture equity financing for the acquisition of Ridgeline Apartments, a 160-unit, Class B apartment complex in San Bernardino, California. The Company’s Irvine-based Capital Markets team provided this comprehensive capital stack solution on behalf of repeat borrower, Crystal Asset Management. The Walker & Dunlop team of Gregory Richardson, Mark Strauss, Scott Watson, and Rob Quarton executed the deal within a tight timeline, strategically exposing the opportunity to the capital markets to obtain the best terms and structure available. The financing solution included $7,688,000 of joint venture equity with a California-based private investor and a three-year, interest-only bridge loan for $18,525,000 with a regional bank. “It is always rewarding to source the complete capital stack for a long-term client. In this case, we identified a like-minded capital partner and a lender who provided a debt structure that will be accretive to the business plan,” added Mr. Richardson. Ridgeline Apartments consists of 10 two-story, walk-up residential buildings with one- and two-bedroom units. Located in one of Southern California’s healthiest economies with low unemployment and numerous educational and medical institutions, the asset is over 98 percent occupied. Furthermore, it is situated just a half a mile south on University Parkway from the California State University San Bernardino campus, which has over 21,000 students enrolled. Tenants will have direct access to a brand-new Starbucks Reserve, located across the street from a neighborhood center anchored by Ralphs and LA Fitness.Ranking as the 6th largest multifamily lender in Mortgage Bankers Association’s mid-year 2017 report, Walker & Dunlop continues to grow its multifamily portfolio across the country. In California, the Company increased its total origination volume by 25 percent year over year*. Ridgeline Apartments highlights Walker & Dunlop’s ability to creatively execute multifamily deals by combining its full suite of capital sources and experts to meet and exceed each client’s financing needs. Visit our website to learn more about the Company’s financial offerings.